Sigh. The death ridge looks never ending. No storms in sight yet. 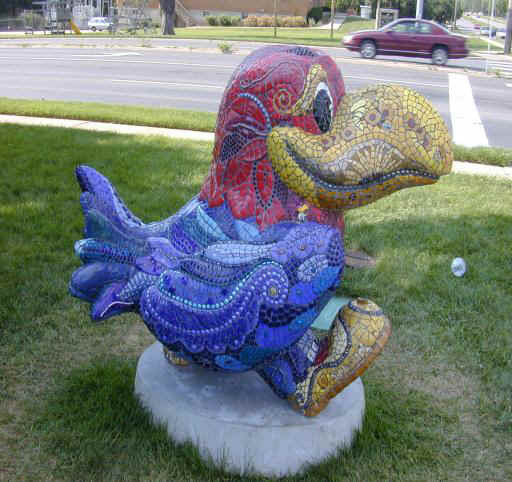 So instead of chasing, we toured around town looking at these neat Jayhawks somebody made. I am told there are over a dozen around town. 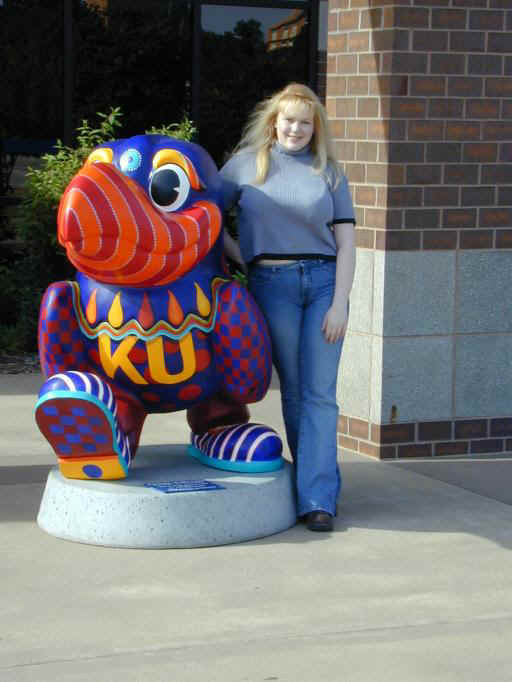 Beth and myself with a Jayhawk. 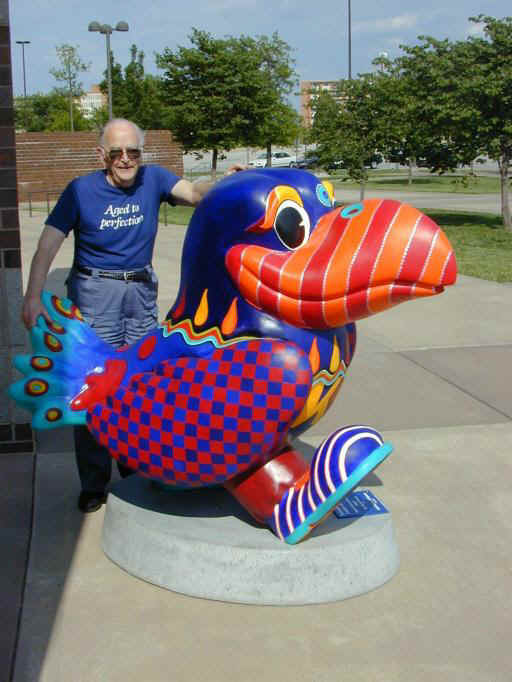 My father and a Jayhawk. 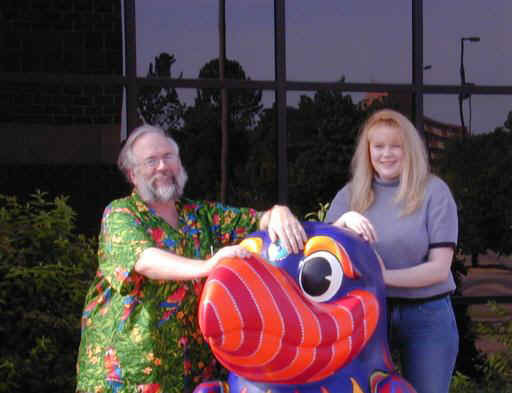 I had a wonderful opportunity to spend some time with my best and favorite teacher of all time, Stan Roth. 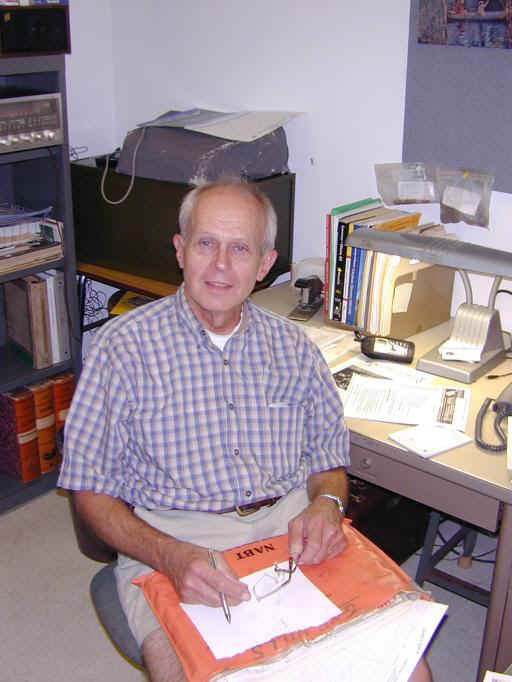 Stan taught high school biology and advanced biology, and also led many adventurous trips doing spelunking and doing field biology. I went on a number of those trips and it was quite an experience! 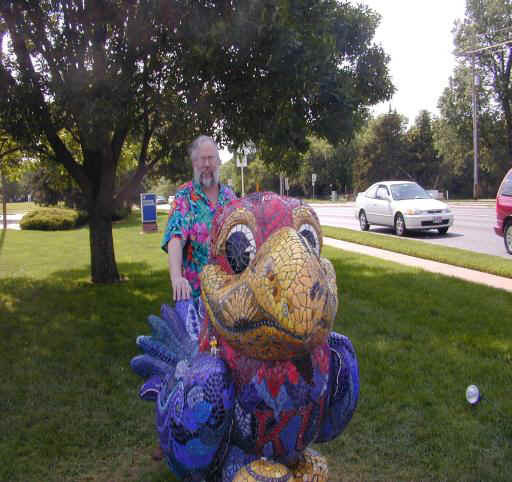 Stan is now retired from teaching but is still active in biology research and field biology, now with the University of Kansas and the Kansas Biological Survey. Stan in his KU office. 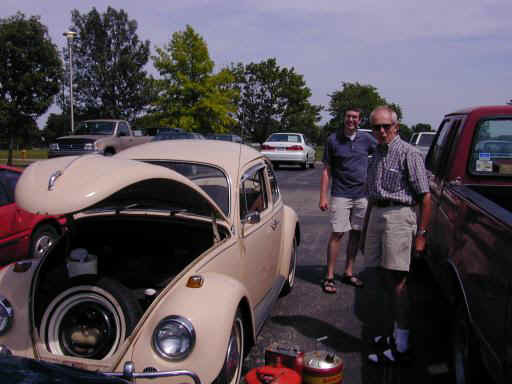 I think this is the same car he was driving when I was in his classes 40 years ago! (Well, almost. BTW it's for sale. Make him an offer). 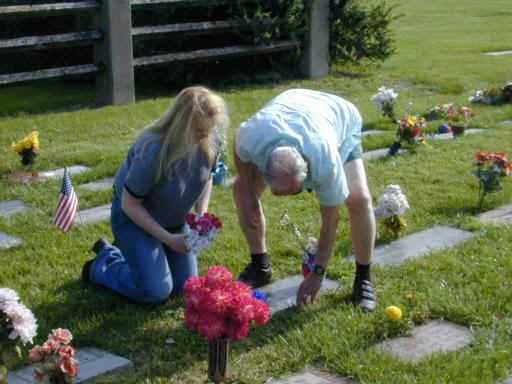 On a more somber note, we visited my mother's grave and replaced the artificial flowers that insensitive vandals are always removing. Her grave is in Pioneer Cemetery (where the Lawrence pioneers were buried). 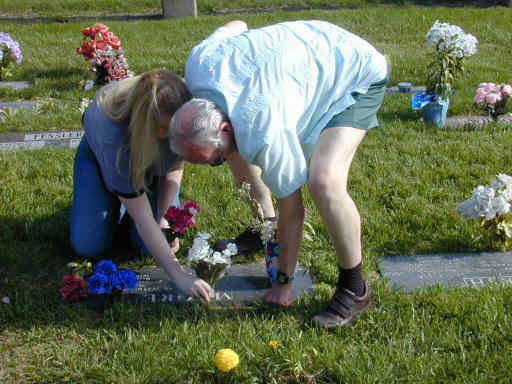 Faculty and former faculty members from KU and their spouses can be buried in a small part of that historic cemetary. The victims from Quantrell's Raiders terrorist attack on Lawrence during the civil war are buried there. It is on the University campus and too close to the dormitories for safety from vandals.